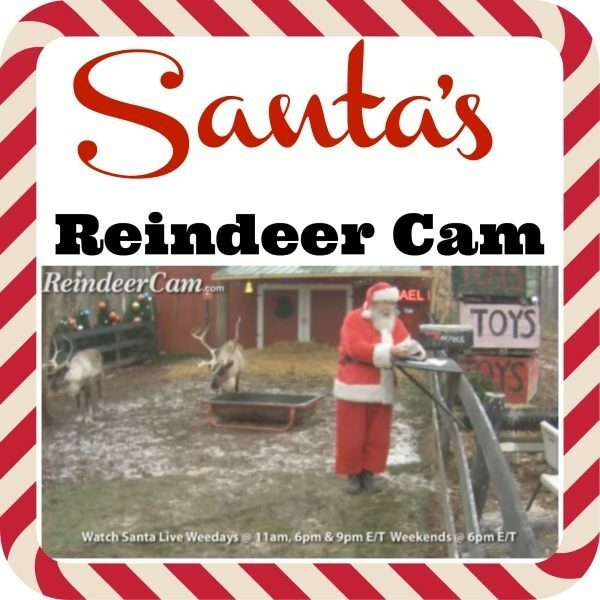 Watch Santa And His Reindeer On The Reindeer Cam! You are here: Home / FREEbies / Watch Santa And His Reindeer On The Reindeer Cam! Here’s something fun and FREE you can do with the kiddos at home this Christmas! Check out Santa and his reindeer on the Reindeer Cam! This is something fun that my daughter and I like to watch every holiday season! She gets a kick out of seeing Santa on the camera! Santa feeds the reindeer on weekdays at 11 a.m., 6 p.m. and 9 p.m. EST, and on weekends at 6 p.m. EST.